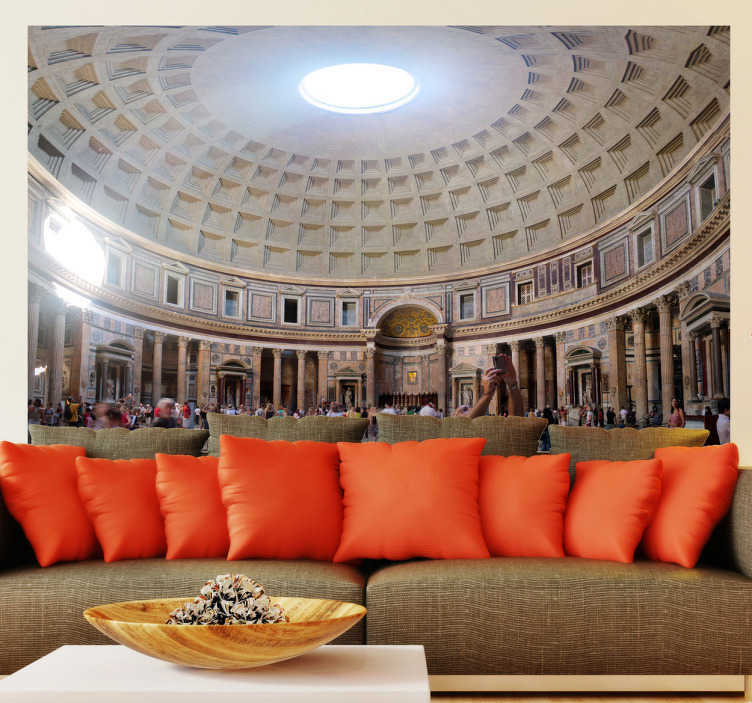 Pantheon Rome Vinyl Sticker, ideal for living rooms, bedrooms or any flat surface. This historic building was completed by the emperor Hadrian and completely stuns people due to it attention to detail and flawless design. Why not share this beautiful wall sticker will all the family, friends, guests and be showered with compliments and praise. The view of your living has never been better as this decal provides a calming and relaxing touch to any room and the historical landmark brings coolness to the eyes. Choose the sizes that best suit the wall or flat surface that you want to decorate, and apply easily without fuss. Various colours available.